A huge thank you to everyone who took the time to complete the technology survey. As promised, a winner of an iPad mini was picked. Congratulations to Jesse McGowan! 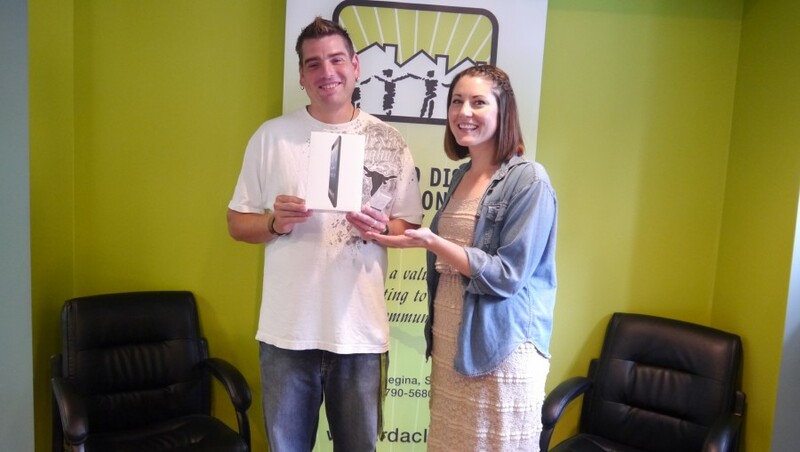 Jesse had the chance to pick up his brand new iPad from the RDACL office today and was over joyed at being chosen as the winner! Jesse, an avid music lover, is going to fill his iPad with all of his favourite songs and cannot wait to be able to listen to them! Jesse is also apart of our Next Chapter Book Club programs and is excited to bring it with him so that he can look up meanings of words, pictures, and even have the e-book on his iPad if he can! The first thing Jesse was going to do is get his team leader Matt to help him set up his email, teach him how to send text messages and take pictures! Campus For All is a four-year Inclusive Post-Secondary Education (IPSE) experience for adults with an intellectual disability. This initiative provides opportunities for individuals to audit classes, improve literacy and establish social connections with fellow students. Campus For All students attend classes, participate in campus activities, make friends, prepare for the work world, and enjoy the same opportunities as their post-secondary peers. 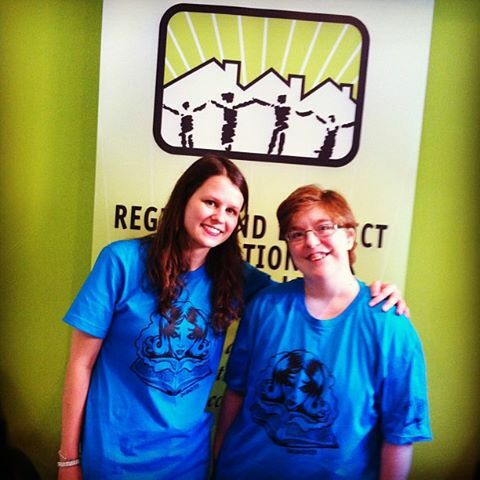 On April 29, 2013 Campus for All students celebrated another successful academic year at the Year End Showcase! Please click the image below to see the clip of the event. We are very pleased to share with you that as of February 26th, SaskTel has received approval from the Canadian Radio-television and Telecommunications Commission (CRTC) to allocate its entire deferral account of $1.54M to fund initiatives that improve the accessibility of telecommunications to persons with disabilities. Half of this amount will be allocated to the RDACL. The RDACL is extremely grateful and excited to work together with members of SaskTel and groups throughout Saskatchewan on this project. On behalf of the board, a huge thank you is extended to all of those instrumental in making this a possibility for the RDACL. We look forward to the next three years and are excited to get to work!